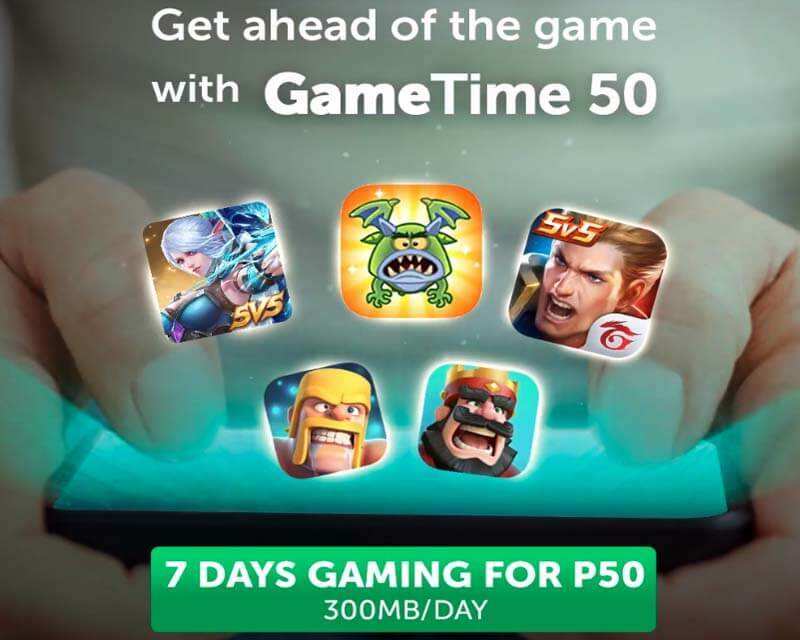 Enjoy playing your favorite online mobile game with Smart’s latest internet data promo called Game50 or Game Time 50. It gives you 7 days access to Mobile Legends, Clash of Clans (COC), Clash Royale, Arena of Valor and Everwing for only 50 pesos. What makes it more exciting is that it also gives you free 50 battle tickets if you are a player of Mobile Legends. You are given a code upon subscription that you can redeem by logging in to the game’s official website. 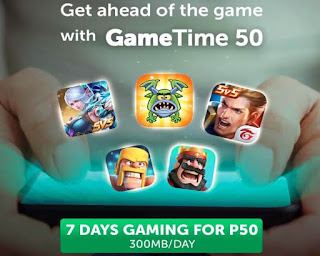 The Smart Game 50 promo has a 300MB per day data allocation at a normal internet speed. It will slow down once you fully consumed the daily limit and refresh at 12 midnight. This offer is available to all Smart prepaid subscribers. All you need to do is reload your account with 50 pesos and you are ready to go to the registration process. No need for P1.00 maintaining balance during your active subscription. Also available in GAME100 or Game Time 100 - if you want to expand and extend your Game Time promo subscription, you can register with 30 days validity. Do note that you need to download first the apps mentioned or you want to use before you can subscribe to this promo. This does not include data access for downloading any app on Play Store / Apps store. You will also receive and SMS notification once you reached 80 to 100 percent of your allotted data. Visit https://smart.com.ph/ for updates and other information about this offer.